We previously brought you a video report in which Bruce Clay made a claim that "ranking is dead." In the above WPN video, Matt Cutts of Google responds to that assertion. Matt does not completely agree with Bruce that "ranking is dead" but does announce that it is not as important as it once was. In the Top-Shelf Organic SEO session at PubCon 2008, Bruce Clay made some very significant predictions regarding SEO. As we all know, SEO has advanced in many areas over the past several years. Compare your current searches to that of just 2 years ago. Quite a bit of difference in the results, huh? Social media has taken over. Honestly, everyone is using it now and not simply for social reasons. Companies now realize how powerful it is for raising brand awareness and engaging with customers. But a lot of money can be lost if a social media campaign is not efficiently conducted. 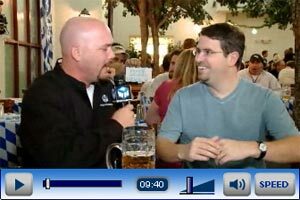 WebProNews' Mike McDonald caught up with Matt Cutts of Google at the Hofbrau House in Las Vegas during PubCon to get his views on a number of topics. Editor's Note: Matt Cutts gives his take on ranking, Universal Search, the changing face of SEO and what to look for in 2009. Let us know what you think in the comments section! Cutts said, "I'm not sure I would say ranking is dead but it's not as important as it used to be. The fact is the smart SEOs are not just necessarily looking at the rankings. They are looking at conversion, they are looking at their server log. It's great if you're ranking for a phrase but unless that leads to sales that doesn't help you very much." "The challenge is not to pay so much attention to ranking, pay attention to traffic, pay attention to conversions and keep building good content and don't worry about 'can I show people that I rank number one for my trophy phrase.'" "Universal is really useful and I think it will continue to expand and what that means in 2009 you can't just think of yourself as an SEO," said Cutts. "SEOs are starting to embrace the fact that they are marketers. It's a broader spectrum. You have to think about how you build buzz, how do you get loyal customers, how do you optimize your ROI. All those different things and that can include how do I make good videos, do I have a book, things like that." Cutts says that people will continue to pay attention to video and images in 2009 but noted a down side. "Of course anywhere there is money there will be spam." Google has been focusing on its different properties to manage the spam issue. Google has gotten better on Flash and submitting a video to video sitemaps is really helpful in getting onto Google Video Search. "We want to be able to present video from all kinds of places," said Cutts. "Whatever file format you want to use is totally fine." Cutts says that just because search engines are getting better at Flash does not mean mobile is. On mobile devices you can't just think about search engines. You have to think about the user experience. "Black Hat SEO is getting a little more malicious. In a world where Black Hat is moving towards really illegal things as an SEO you have to decide your risk tolerance and do I really want to try to compete with people who are doing illegal stuff or do I want to make a long term site that's gonna stand the test of time." There is no real advantage to using Subdomains. If you have a lot of Subdomains that can be a lot of work. You don't want to overdo it. Really it's what ever is easiest for you. Mike is a staff writer for WebProNews. Google has been providing tips for optimizing AdSense ads to enhance their performance. The company has provided a three-part video series on this subject, which it has just released the final installment for. - Ad units placed at the bottom of the page don't perform as well. Will Personal Search Turn SEO On Its Ear? Kvetch lets you "let it out." Become a WebProNews blog partner. © 2008 WebProNews. An email newsletter.